This chapter provides an introduction to the feminist post-structuralist theory of change used to inform the pedagogical design of the Learning Partnerships program in which school students teach pre-service teachers about what it means to be a good teacher. It analyses data gathered from surveys, focus groups and in-depth interviews with participants involved in various iterations of the program. The respondents cite the humanising effect of the participatory encounter and point to the way in which it builds their confidence to understand each other’s perspectives. The process has them rethink who each other are and who they can ‘be’ in their encounters. 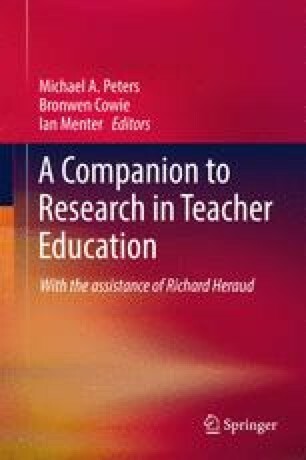 Findings from this research include recommendations for use of a ‘third space’ for exploratory exchange between client and professional as an element within teacher education.